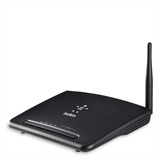 Featuring Parental Controls, the Belkin N150 Wi-Fi N Routers is the safe and secure way to connect from virtually anywhere in your home. Whether you’re emailing, video chatting, or on the social networks. The N150 provides wireless speeds of up to 150Mbps†—ideal for surfing, emailing and instant messaging. 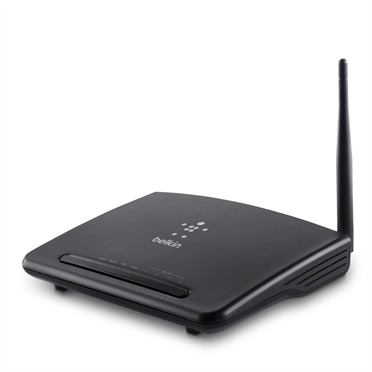 Wireless-N technology offers twice the speed of G technology‡ yet is fully compatible with older wireless-G networks. †The standard transmission rates—150Mbps, 54Mbps, and 11Mbps—are the physical data rates. Actual data throughput will be lower. ‡Twice the speed and other physical data rates are achievable only when used in combination with an N150 Wireless USB Adapter.